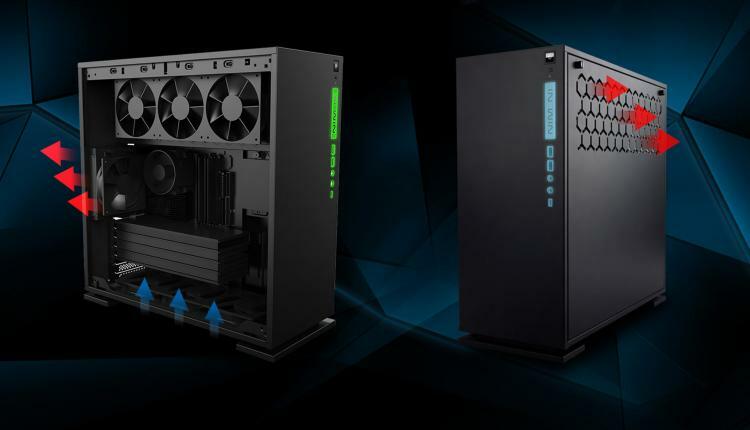 In Win releases its new 303C ATX chassis featuring high-speed USB 3.1 Gen 1 Type-C ports in the front I/O with speeds of up to 10Gbps offering users the fastest connectivity that’s within reach! To achieve such blistering speeds on the Front I/O USB Type-C ports, In Win collaborated with popular motherboard makers in developing the In Win 303C chassis. MSI made a statement regarding their partnership with In Win regarding the development of the 303C chassis. Check out the motherboard models that are fully compatible with In Win 303C’s front panel USB 3.1 Gen 2 Type-C ports. 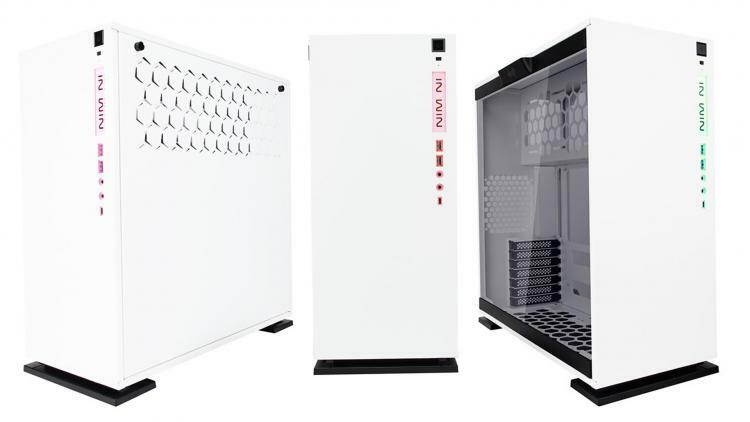 In Win joins the RGB lighting craze and adapts RGB lighting support with the 303C chassis. 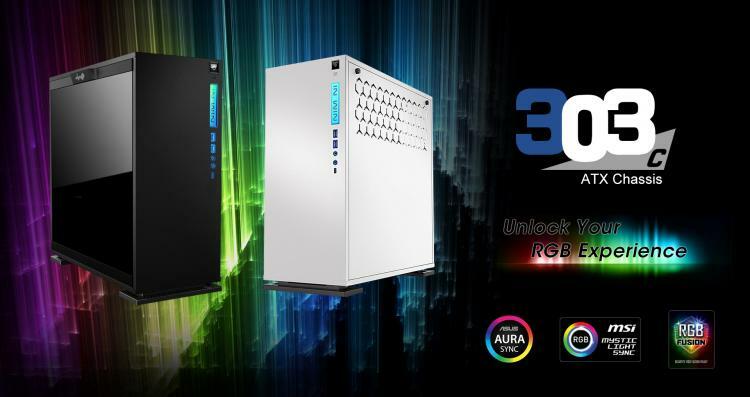 The case supports popular RGB lighting systems available today including the ASUS Aura Sync, MSI Mystic Light Sync and GIGABYTE RGB Fusion. The case has a 4-pin connector that connects the In Wi 303C to the compatible motherboard and or RGB lighting controller allowing you to synchronize RBG lighting of the chassis to the rest of your hardware from fans to motherboard, graphics card and others. 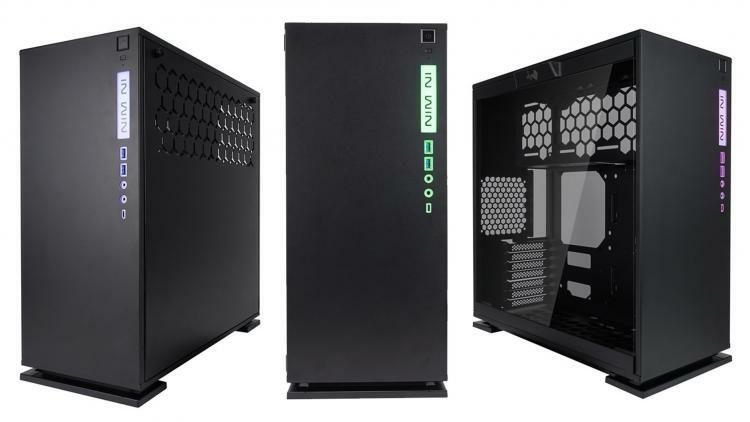 To complement RGB lighting installed inside the In Win 303C chassis, the case features a 3mm-thick tempered glass side panel for you to view lighting and hardware inside. The In Win 303C chassis also gives a very flexible support for custom liquid cooling hardware for liquid cooling enthusiasts. Install as large as a 360mm radiator on top of the case. For cooling, the case supports one 120mm fan at the rear and up to three 120mm fans at the top and bottom of the chassis. Product Dimension (H x W x D): 500mm x 215mm x 480mm / 19.6" x 8.4" x 18.8"
For more information about the new 303C, please visit the In Win website. In Win plans to launch remastered versions of past models with similar features such as: 301C, 509C and 101C. In Win will continue to do its part in providing innovative products to the PC building community.